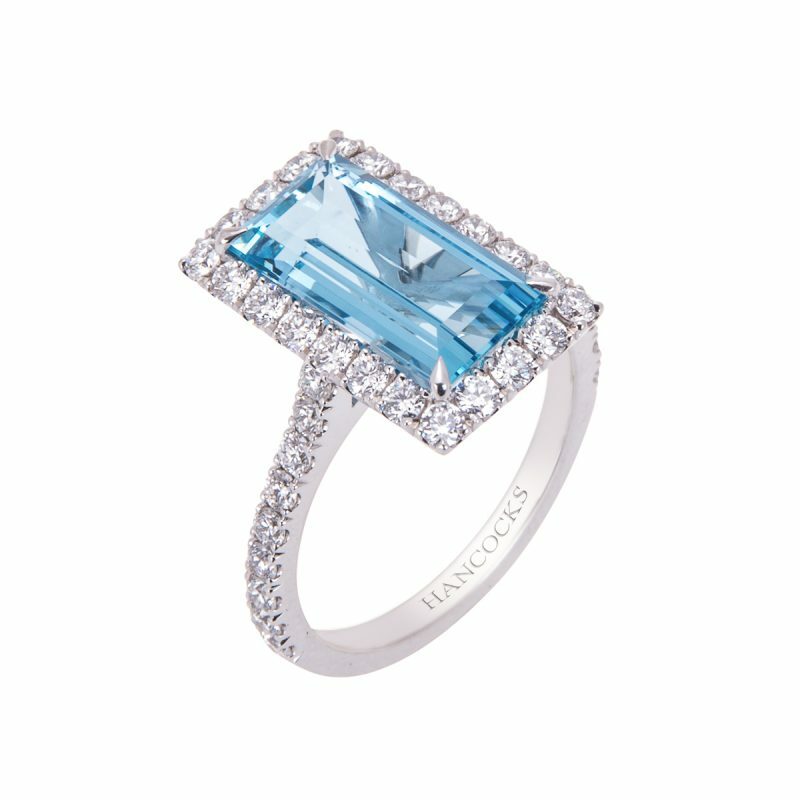 The design of this aquamarine and diamond ring echoes the Art Deco period. 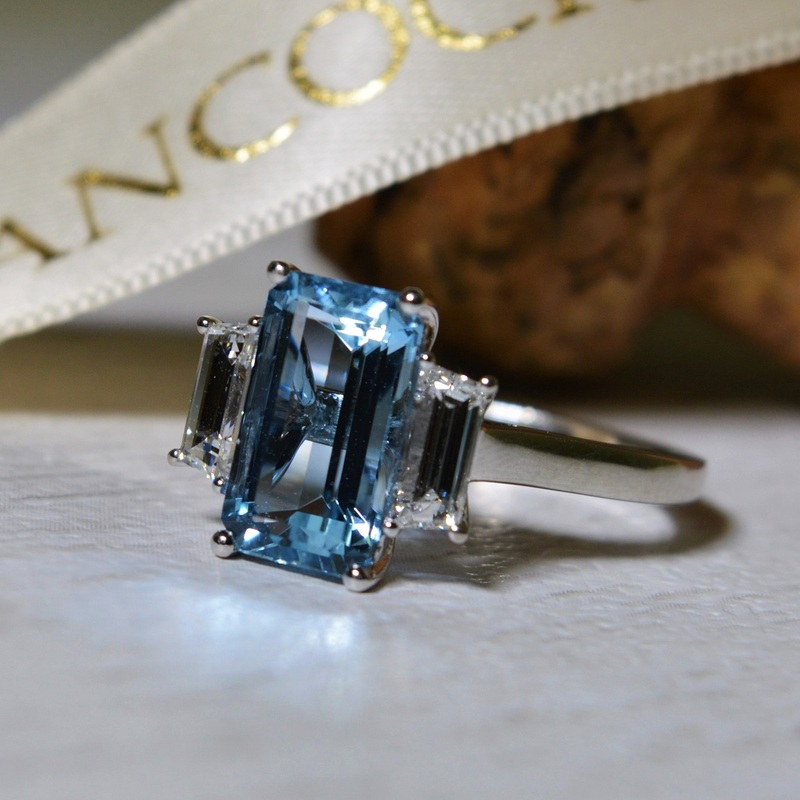 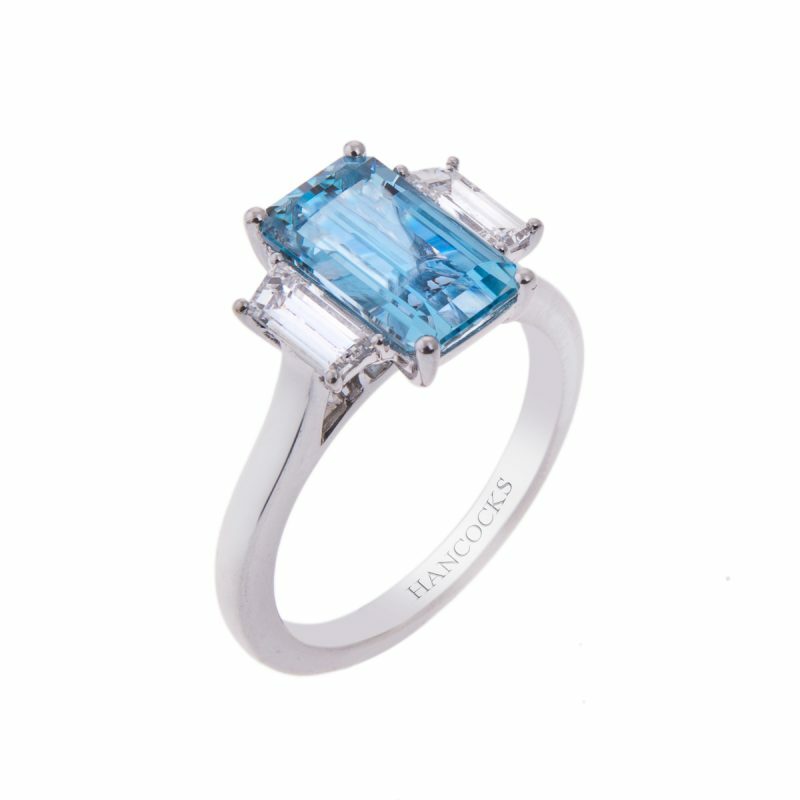 An icy blue emerald cut aquamarine, shouldered by a single diamond on either side. 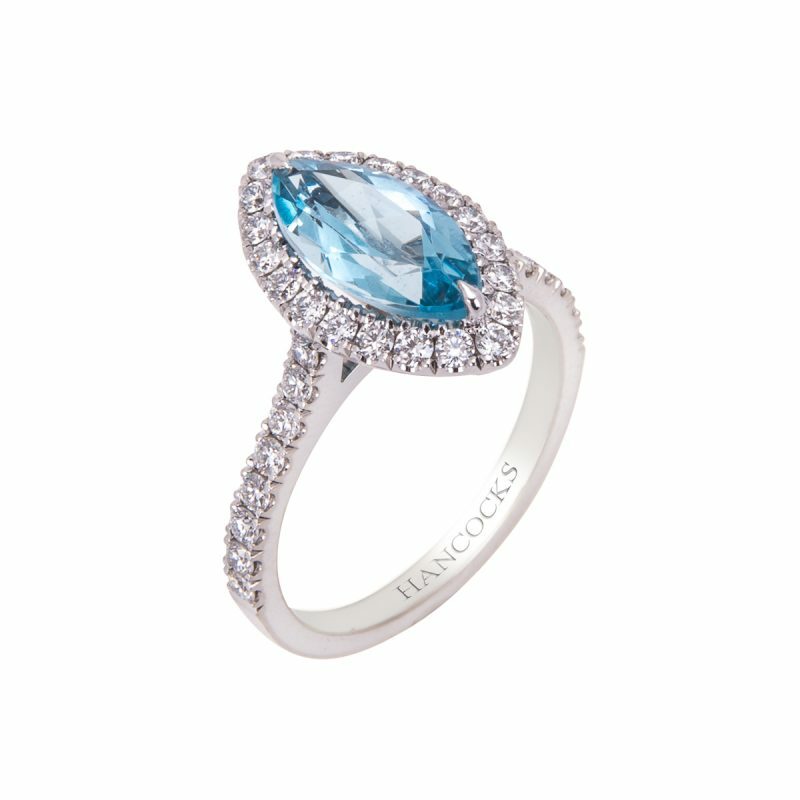 No matter how the temperature rages, your cool sophistication will remain. 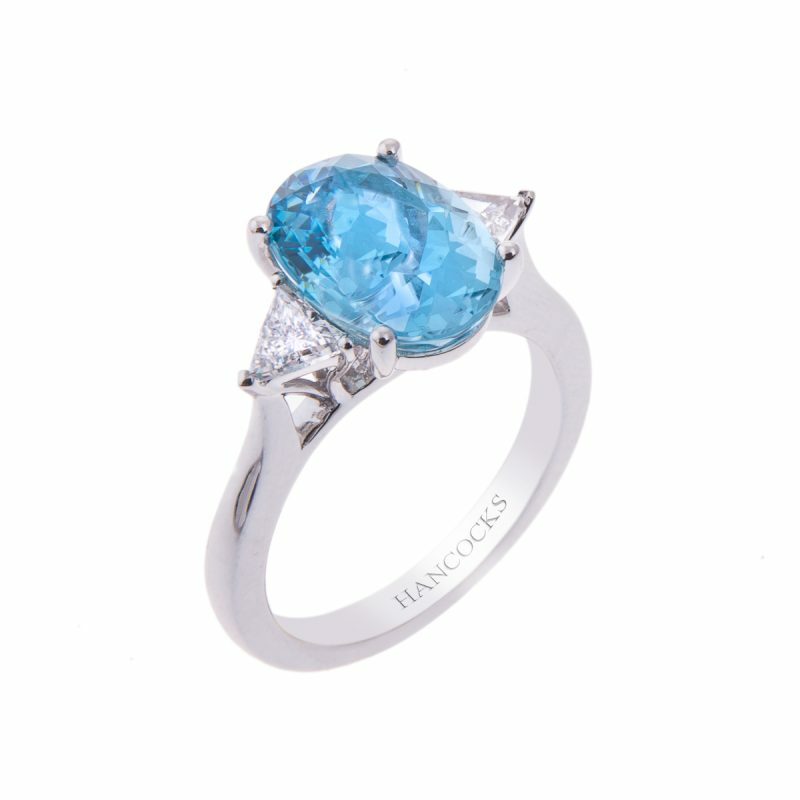 Mounted in an 18ct white gold claw setting with sweeping under bezels that will allow any wedding band to sit comfortably.